Do you adore fruits on your clothes just like you love them as a tasty snack? Well, then this is your pencil skirt dress in checks and red fruits pattern. You'll definitely fall for these beautiful little details! Pencil skirt dress with black/white checks and red fruits. This pencil skirt dress is going to be a great eye-catcher in your summer's wardrobe with its beautiful tight cut. True to the adage does this dress have a high round neck on the front and a nice v-neck on the back, because a beautiful rear can also endear! 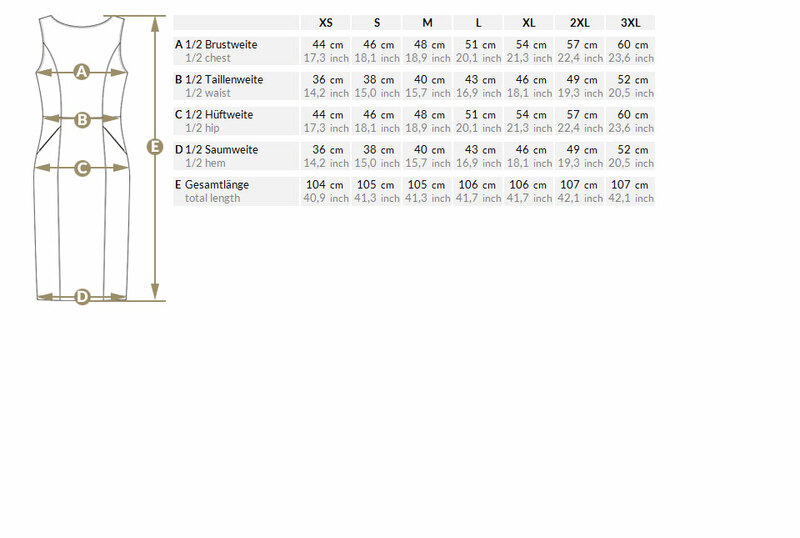 It ends just above your knees and creates a small waist because of its partial seams at the mid of the dress. You can close this sweet fruits' dress with a hidden zipper on the back and slip easy in and out because of a little slit on the back. Dress yourself classy and sweet at the same time with this gorgeous pencil skirt dress covered with black/white checks and fruits - but be ready for admiring glances! 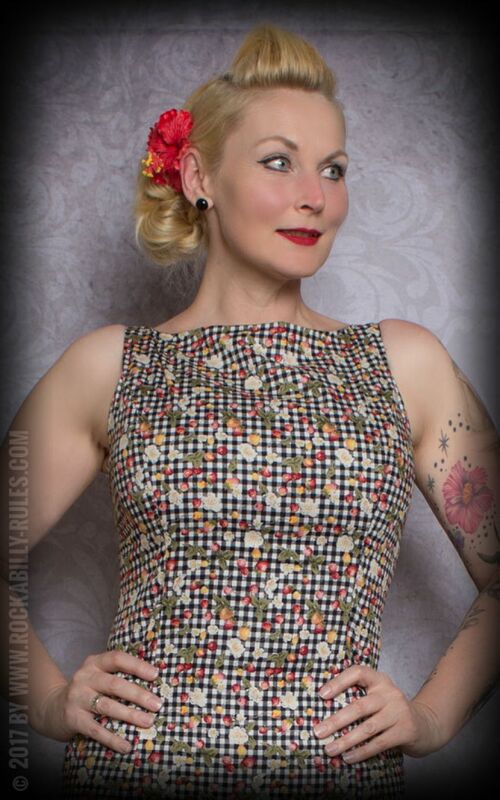 The brand Red Hot and Blue offers great 50s vintage clothing at affordable prices. This great pencil skirt dress will inspire you! Kleid ist geil ---- einfach nur geil.Super Schnitt, angenehmer Stoff und gute Verarbeitung. Super Kleid, günstig und gute Qualität . Gute Qualität und wie auf den Bild.Angezogen passt und gefällt!! !